We're looking forward to analyzing some great drill samples from the "Duluth" rock target in Curiosity's Chemistry and Mineralogy instrument, CheMin. However, previous tests on Mars and the first delivery attempt to CheMin raised a concern that less material than expected may be making it in. To increase the chances of a successful CheMin analysis this time around, three portions will be delivered in Sol 2068 instead of the usual single portion, and from a smaller height than before. In addition to the CheMin triple delivery, the geology theme group planned some passive imaging of target "Bassett" by ChemCam. This is exposed Murray formation bedrock, so the purpose is to compare its chemical composition with other Murray targets and get a sense of their variability. Also included were Mastcam stereo images of targets "Anderson Lake," "Bob Lake," "Toohey Lake," and "Bass Lake" to better understand the bedding geometry. The GEO theme group also included more Mastcam change detection images of the Duluth drill tailings and "Noodle Lake" target, to monitor how rapidly and in what direction the Martian wind is moving loose material on the surface. The environmental theme group planned two early morning Navcam cloud movies on Sol 2069 less than an hour after sunrise. The cooler early morning is now the best time to see clouds, as we move well past the 'cloudy' season and into the warmer half of the year. These movies were followed by Mastcam images of the sky and crater rim, which respectively allow us to measure the opacity of the atmospheric column above the rover and the line-of-sight extinction across the crater horizontally. 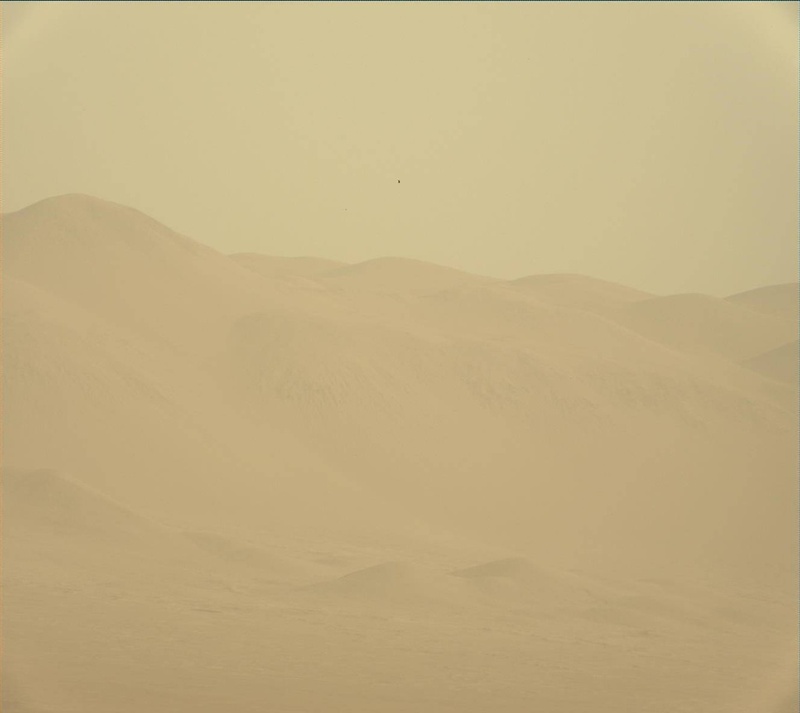 The air can be pretty dusty inside the crater, reducing visibility, even when no storms are raging, as shown in this Mastcam crater rim image from Sol 2065. The ENV theme group also took another long Navcam dust devil movie, this time looking more to the northeast, as well as a shorter movie looking to the northwest and another Navcam dust devil survey, with the two movies covered nicely by two hours of extended REMS meteorological measurements. Such overlap is ideal, because rapid pressure drops measured with REMS - which indicate a convective vortex (dusty or not!) passing nearby - can then be correlated with any dust devils we spot in the movies. This tells us something about how intense vortex activity has to be to raise dust and make vortices visible as dust devils. And on the rare occasions when we can connect a REMS pressure drop to a specific dust devil, we can use this to learn more about the dust devil's size and speed.